Welcome to Beeman's Restaurant & Lounge! Where hometown cooking has been a tradition for over 30 years. Enjoy an appetizer and one of our delicious sandwiches or entrees, but remember to leave room for our fantastic desserts! We thank you for your patronage. 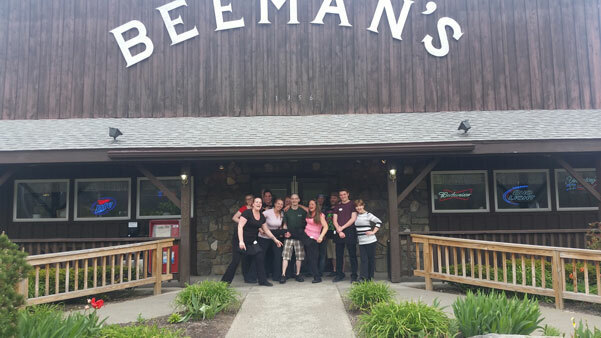 All of us at Beeman's do our best - every day - seven days a week to serve you with the finest food at the best price, in a classy and friendly atmosphere. We want to make you feel at home. If you need something, just ask! Our friendly staff is here to serve you and make your dining experience an enjoyable one. We think you will agree, and have a wonderful day! 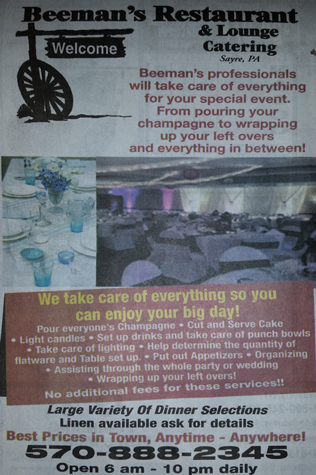 Beeman's Professionals will take care of everything for your special event. 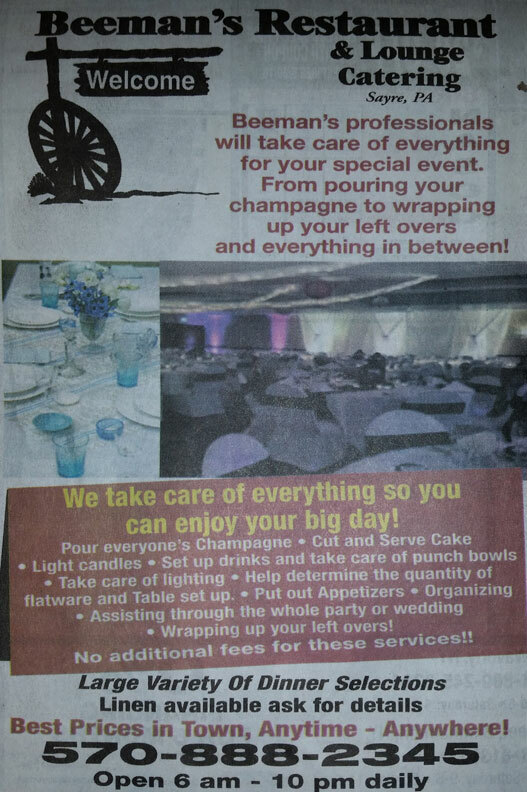 From pouring your champagne to wrapping up your left overs and everything in between!